The under 18s who competed on Saturday with Rod West and HIBC president Jill King. Horncastle Indoor Bowls Club teams competed in county and national competitions this week, while the club also had the honour of hosting the last 16 of the Lincolnshire 18 and Under Singles. On Sunday, Horncastle’s Mixed Team played host to Boston on home soil. A close game saw Horncastle win on two rinks, lose on two rinks and draw on one. Horncastle went on to win by 13 points to 5, taking the eight points for the aggregate scores. Horncastle won by a total of 109 shots to 89. Rink scores: J. Scholey won 30-17, K. Jackman lost 16-17, J. Moody lost 16-23, O. Wells won 22-12, K. Taplin drew 20-20. The latest friendly game was against Humberside Patrons, where Horncastle were heavily beaten 58 to 112. The team won on one rink, drawing on one rink and losing on three. Rink scores: David Pill won 22-18, Terry Percival drew 13-13, John Rapley lost 13-15, Paul Thomas lost 7-26, John Brown lost 3-40. The under 18s event was held on Saturday, run by Rod West the under 18s Lincolnshire Bowls County Co-ordinator. The youngsters represented clubs from around the county, including Louth, Stamford, Sutton St James, Spalding and Boston. 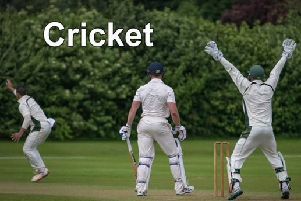 Harry Mycock, T.J. Spiller, James Cherry, Danielle Wild and Alfie Condron all made it though to the under 18s county finals, which will take place at Boston on April 28.